For many people, a silver IRA can have numerous advantages over a 401k or other paper-based retirement accounts. But before you open an account, the question you need to ask yourself is: is it the best option for you? What type of lifestyle do you want to live in retirement? How will you safeguard your portfolio? If you’re thinking about what to do with your retirement savings, here are five reasons why a silver-backed IRA might work out better for you. Reason #1: You’re concerned about the stock market. Rightfully so. Stock market volatility is inevitable. But it’s an even bigger concern for those who are getting closer to retirement. If your stocks and mutual funds sink unexpectedly, then it could delay your retirement plans indefinitely. If you’re already retired, it could significantly affect how you live. This is why many people prefer the security of precious metals like silver and gold. When your IRA is backed by silver, instead of paper assets, your money is not subject to the extreme ups and downs of the stock market. Reason #2: Protection against the declining dollar. As the value of the dollar sinks, it poses a serious threat to your wealth and purchasing power in retirement. Simply put: if the dollar becomes near worthless, your money will not go nearly as far. A silver IRA enables you to protect your money with investments in physical silver, which is not subject to the political whims and follies in Washington and beyond. Reason #3: Same tax benefits. Many people incorrectly assume that investing in silver doesn’t allow any of the same tax benefits as other retirement accounts. But in actuality, the tax benefits of a silver IRA and paper-based IRA are virtually the same. 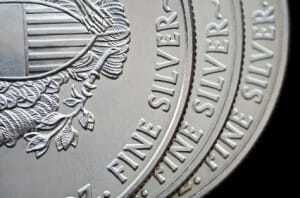 Depending on your situation, your contributions to a silver IRA may be tax deductible. You even have the option of setting up your account as a silver Roth IRA. Reason #4: Your 401k is stagnant. If you have a 401k with a previous employer, or you’ve already retired and your 401k is just sitting there, then it’s not doing you any good. By converting your 401k to a precious metals IRA, you could still be contributing to your account, adjusting your investments as your needs change and adding a unique level of security to your account. Reason #5: You prefer to diversify. Remember, a silver IRA is NOT limited to just silver. You can add other eligible precious metals, such as gold, platinum and palladium, as well as other types of investments, such as stocks, mutual funds, mortgage-backed securities and others. Your account will be “self-directed,” which gives you total control over your account and the flexibility to diversify however you choose. Keep in mind, these are only 5 of the many reasons to consider a silver-backed IRA, and the reasons change for each person. If you’d like to learn more about the benefits of a silver IRA, and how they apply to your individual situation, simply fill out the form on this page. Our Precious Metal IRA Specialists will contact you to answer your questions and walk you through the process of opening your account, step by step.